The chancellor is being urged to provide positive support for drivers to switch away from diesels rather than just ‘beat them up’ for driving the ‘wrong’ cars. The IMI is urging the chancellor to support rather than penalise diesel drivers in the Spring Budget to help them switch to EVs. Ahead of next week’s Budget, Steve Nash, CEO of the Institute of the Motor Industry (IMI), has called for a range of measures to encourage motorists to adopt new technologies, including guaranteeing EV subsidies until 2020, introducing a scrappage scheme for pre-EU5 and EU6 emissions diesels and allocating £30m to electric vehicle training for the retail motor trade. Nash said: “The IMI wholeheartedly supports the Government’s focus on electric vehicles. But we urgently need the Chancellor to allocate some of the millions that’s currently being put to increasing charging points, to supporting the training of motor retailers in being able to maintain and service these vehicles. “Until this is addressed, insurance and servicing costs will mean electric vehicles stay out of the reach of many drivers and car buyers. “The Government also needs to put its money where its mouth is in respect of electric vehicle subsidies. To date Philip Hammond has appeared to be reluctant to guarantee the existing EV subsidies until the end of this parliament. This seems counter-intuitive to the wider commitment to electrics being proposed by Government. Last year saw environmental lawyers at ClientEarth win a High Court case against the UK government for failing to tackle illegal levels of nitrogen dioxide (NO2) air pollution as quickly as possible‎. The Government has now been given a July deadline for producing an improved air quality plan. Its previous plan included possible restrictions for diesel drivers in a number of city centres. In the last two weeks, the European Commission has sent final warnings to the UK as well as Germany, France, Spain, Italy for failing to address repeated breaches of air pollution limits for nitrogen dioxide. The EU added that possible measures to lower polluting emissions include reducing overall traffic volumes, the fuels used, switching to electric cars and/or adapting driving behaviour. It added that reducing emissions from diesel-powered vehicles is an important step towards achieving compliance with EU air quality standards. 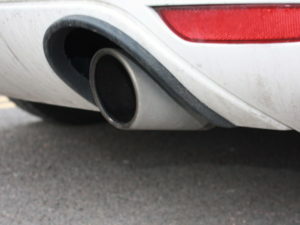 However, the UK’s Society of Motor Manufacturers and Traders (SMMT) has spoken out this week to warn that an ‘anti-diesel’ agenda will halt further progress in reducing new car CO2 emissions.